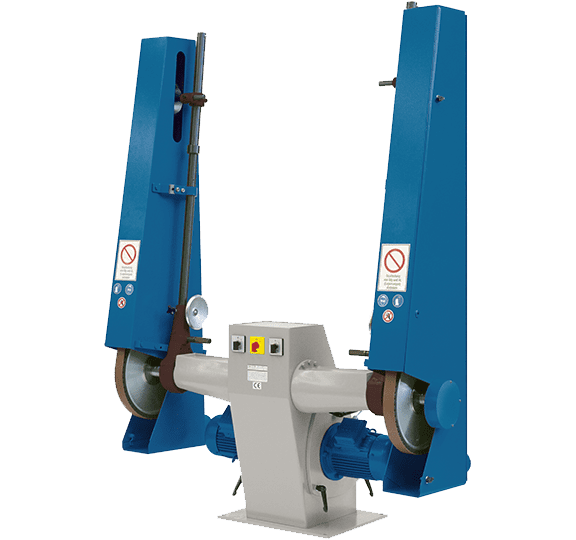 The contact belt grinding and polishing machine of the 72780 series is a universally applicable belt grinding and polishing machine in heavy-duty design with motor power per spindle from 3.0 to 7.5 kW and is therefore ideal for industrial applications with high stock removal rates. Due to its double-sided design with optional combination of belt grinding and polishing, only belt grinding or only polishing, the 72780 series is a universally applicable machine. Thanks to its stable, low-vibration design, it guarantees a long service life and precise work without chatter marks. The speed which can be adjusted separately for each side via a three-stage V-belt drive offers a high degree of flexibility and a wide range of applications. Optional frequency converter for speeds 900 – 2,800 1/min. 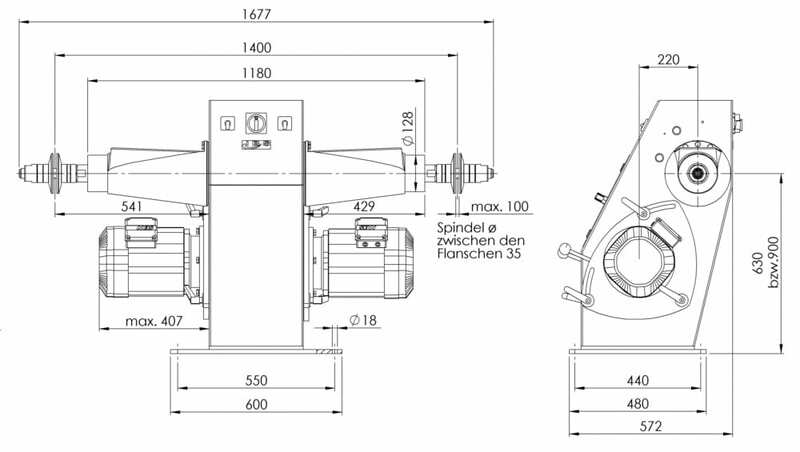 For the grinding of aluminium, we optionally offer you additional equipment that meets the requirements of BGR 109 – the former ZH 1/32 (guideline for the prevention of dust fires and dust explosions during grinding, brushing and polishing). 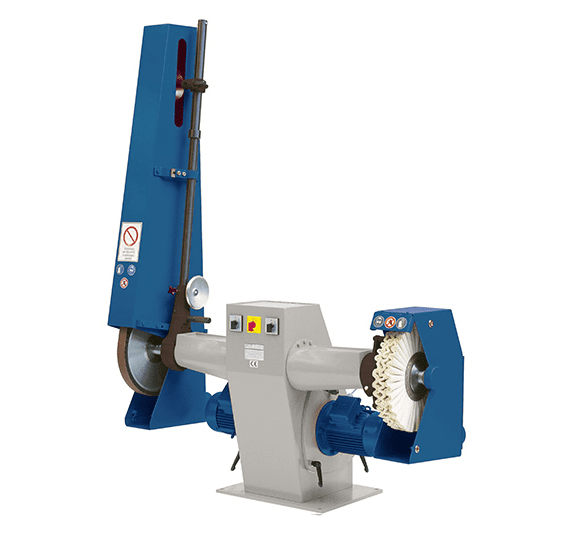 This machine is available in a special version for grinding magnesium. It complies with BGR 204. The accessories on offer also offer you the possibility of quick conversion to other applications. voltage 400 V, 50 Hz, Dr.
Possible spindle speed 700, 800, 900, 1.000, 1.120, 1.250, 1.400, 1.600, 1.800, 2.000, 2.240, 2.500, 2.800 1/min Please select 3 speeds and specify when ordering!